Our budgetary and economic policies can be called a job promotion policy, and we place the core of our work on the logic of encouraging work. What does this mean? This issue has a very important ideological significance for us, as it is our political activity, and it is also recorded in our party’s program as the most important condition of public change. That is, no positive change can occur unless it stems from individual effort. 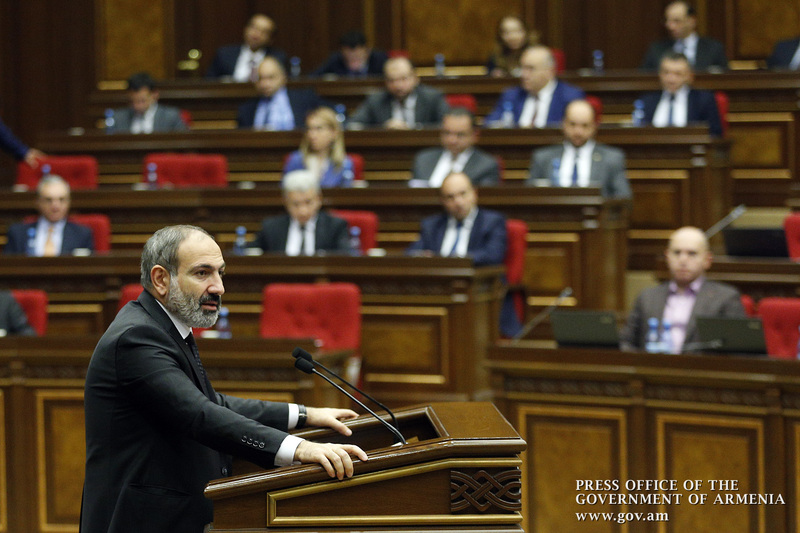 In general, by saying economic growth, economic development, we mean joint efforts, and it is crucial to ensure that economic growth proves to be inclusive in the Republic of Armenia. What does it mean? Our political task is to provide real opportunities for every individual to engage in economic activity. I mean both political and economic opportunities. 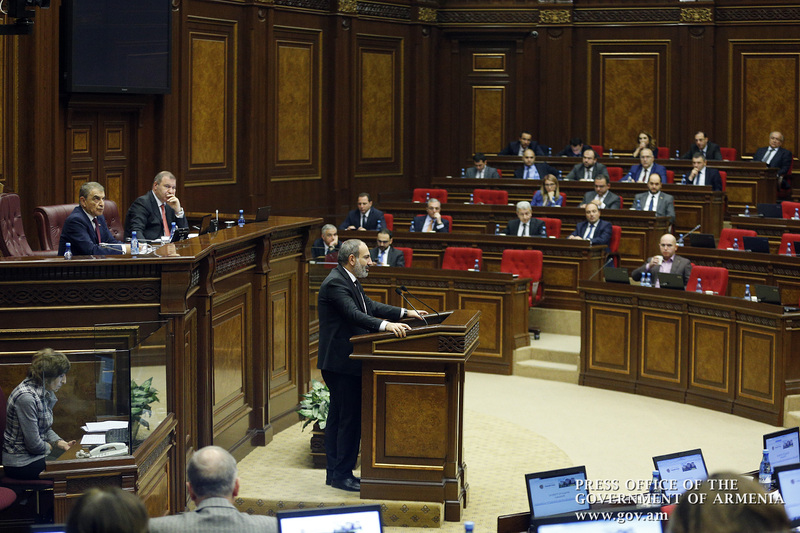 And today we consider that at the political level we have solved this problem because there are no monopolies in the Republic of Armenia, there are no business restrictions in the Republic of Armenia, there are no import and export barriers in Armenia. Therefore, we need to provide all necessary preconditions in the near future so that everyone could be engaged in business activity de jure, and the largest possible number of people – de facto. Our most important decision was to encourage labor. To this end, we have developed the concept of such micro businesses as would be exempt from all taxes. That is, those entities with a turnover between 20-24mln drams will not pay taxes. A political debate is still on concerning the estimates, Of course, there will be some per-sector and zoning restrictions, but we will try to specifically encourage economic activity in the provinces. This is a special emphasis because in essence, there might be two different approaches: the first one was to tell those unable to meet their needs in the field of micro business that we would help them ahead of the upcoming elections, which in turn could be construed as distribution of bribes. But we went the other way instead, and we offered them the opportunity to win bread for their children through dignified labor. We envisage a different mode of income tax for those micro businesses having up to 3 employees, that is, they will not be charged at the rate of 23%, and instead they will have to make a direct payment of 5000 drams as income tax. The next question we are dealing with in a bid to promote labor is the concept of flat income tax. As you may know, we intend to establish a flat income tax of 23% instead of the currently applicable 36% and 28%. This is a job in two ways: we encourage the creation of new jobs with high salaries, and we inject more than 50 billion drams into the economy, that is, we will leave this sum in circulation. This is a huge and important injection into the economy in a sense that any businessman can apply for a share. This also means some increase in wages because when income tax is reduced by 13 or 5 per cent, it will definitely lead to higher salaries. And at the same time, I want to emphasize something very important in the context of creating opportunities. The aforementioned 50 billion drams can be administered in several ways. It can simply go into the market and boost the turnover of specific commodities. It may also go into the banking system in the form of deposits. In both cases, this will contribute to the success of our job encouragement policy because the influx of cash money will result in lower interest rates, which will in turn reinvigorate the business environment. The next important decision was to cancel the license fees for private taxis. Please note that it is not question of all taxis at all but of individual taxi drivers who do not need to pay fees any longer. That is, people can do that type of job without having to pay for a license. There are different estimates of the overall number of self-employed taxi drivers. 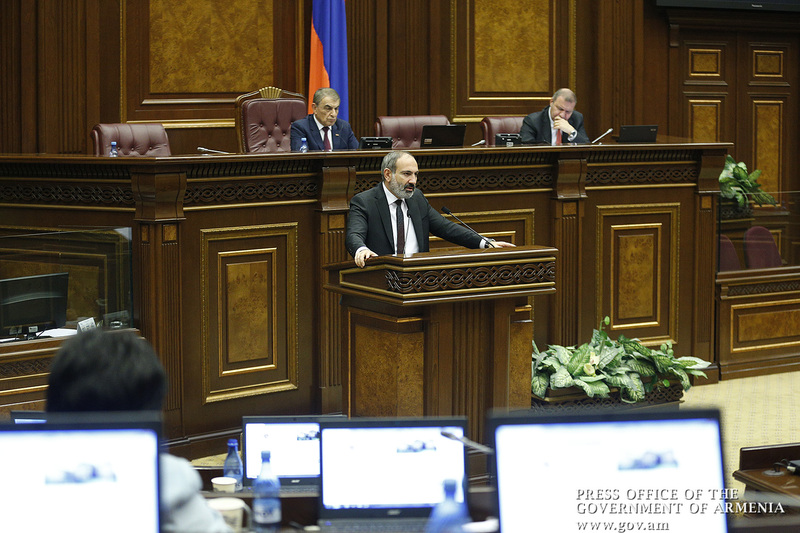 By the way, it seems to be odd and strange that we still do not know exactly how many Armenian citizens are engaged in this activity, but experts point to nearly 50,000 beneficiaries of this decision, and if we consider this from the perspective of net wages, it will turn out that we are increasing the monthly salary of those people by 12 thousand drams in Yerevan, and by 8 thousand drams - in the regions. Our focus on labor is often construed as an attempt to blame people for being lazy. It is not the case; in fact, I have talked about it dozens of times after being elected as prime minister. We do not blame our people. We blame the previous political system for promoting poverty instead of encouraging active work. Monopolies, the restrictions applied de jure and de facto, they used to actually encourage poverty, because they kept asserting that we were poor as we got poverty benefits, and that we had better go unemployed lest we should be deprived of poverty allowance. The question is why to give benefits to capable persons? We should provide targeted assistance to needy children. That is to say, the breadwinner is not the one to get a family allowance, but the child who objectively needs social assistance. We must help them without threatening that they might be deprived of support if their father happens to find a job. We say that assistance should be narrowly addressed and targeted toward the pensioners, disabled persons, children so that we could actually help the family instead of sentencing it to permanent poverty. And in this respect, labor incentives will be the driving force behind our government’s economic policy. We encourage our citizens to stand on their own feet, straighten their back, believe in their power to produce added value. We should urge our citizens not to put up with their poverty status and despair and take concrete steps to deal with that situation. In the meantime, we assume and recognize the government’s commitment to enabling ways and opportunities for these citizens. Along with the policy of promoting labor, we will implement serious social projects in 2019. I have already had the opportunity to state from this podium that next year we will raise the benefits and pensions for 85,000 beneficiaries below the food line to make sure that they will have at least the opportunity to buy bread and food. Secondly, I had the opportunity to say, and now I want to repeat that as a result of the change of the funded pension system we have already raised the salaries of 206,000 citizens, that is, we have not collected taxes, leaving 14 billion drams in circulation. Changes in income tax will increase the salary of 210,000 people. I have already said that as a result of our micro business-related decisions, the income of approximately 70,000 citizens will increase. We have decided to raise the salaries of 14,000 employees of outpatient clinics in 2019. These are important indicators, which evidence that we are pushing ahead with our policy of promoting labor and providing social security guarantees. But in the context of the global budget, especially in the context of budgetary discussions, it is really important to go back to the budgets of participants in budget formation, which also raises certain questions. 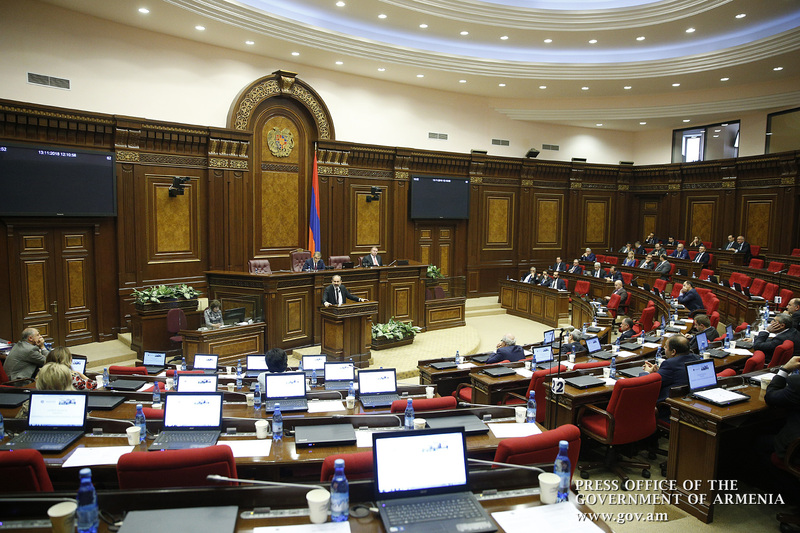 In fact, the reality is that approximately 350,000 people in the Republic of Armenia have a primary taxpayer status. Who do I mean by saying a primary taxpayer? We mean all those who are engaged in private companies. Why do we take this into account in private or non-budget companies because these 350,000 people are paying taxes by creating them from scratch? Of course, public servants and MPs are paying taxes from their salaries, too. But the point is that their wages and salaries are being formed from these 350 thousand taxpayers’ contributions. I am talking about individuals. Our task is to conduct a policy that will double, triple, quadruple the number of these primary taxpayers. Why, because, in essence, we have a situation where these 350,000 people bear the burden of the state system, security, roads maintenance, infrastructure, education and public administration. 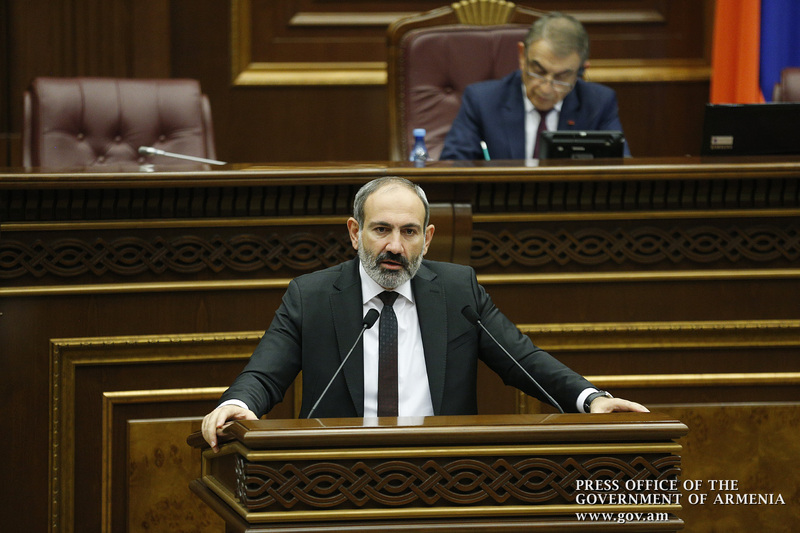 And when we state that only a small percentage of citizens of the Republic of Armenia or able-bodied citizens are performing that very function in the Republic of Armenia, we, as a matter of fact, give the accurate formulation of the problem that we have to solve. We do not say that our people are lazy. No, we say, there was another situation when poverty was encouraged so that it would be possible to achieve the results of the elections by spending certain money before each election. We say that we have opened and are going to open up ever new opportunities for labor. This is already a political reality and our economic policy will be aimed at encouraging individual efforts because I say yes, the government’s responsibility is to conduct a policy that our citizens could come to believe in their own capabilities. The most striking accusation targeting the government is that we are trying to defend the interests of oligarchy or big business. This is just a ridiculous accusation that I first heard as I was talking to citizens in one of the provinces and told them to raise sheep. This gave rise to accusations consisting in that the Prime Minister urged farmers to engage in sheep breeding. This is just nonsense: fancy what, the Prime Minister advises farmers to raise sheep. What was then the Prime Minister supposed to tell them: go and stand in front of your lawmaker’s office asking for 5000 or 1000 drams, and maybe he or she will give you 3000 drams to live on. This is not the right approach; this is what the former authorities had been trying to insinuate in people. 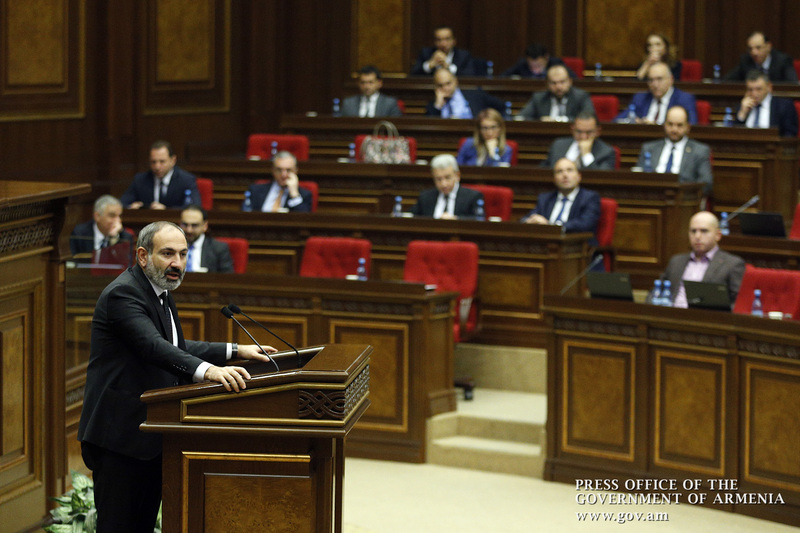 The citizens of Armenia, who have made a revolution in the country, can no longer be humiliated in such a mannaer. 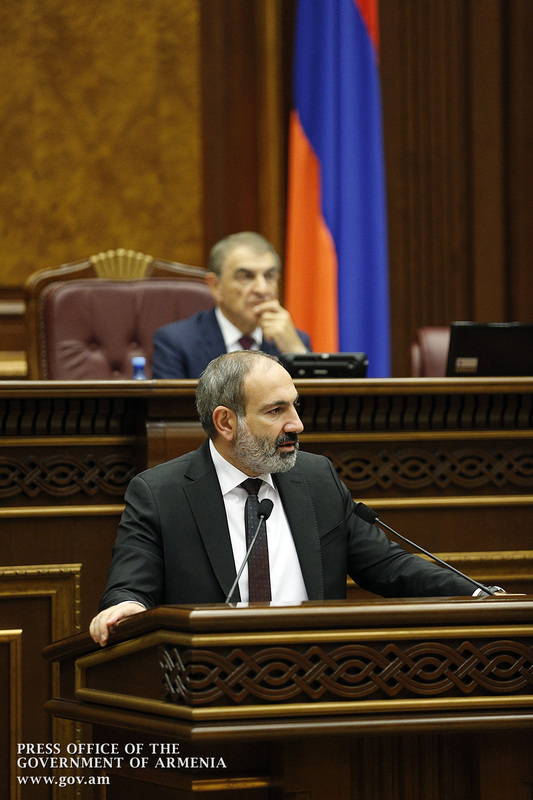 The citizen of Armenia should have the opportunity to create added value. The Finance Minister said that we recognize that the so-called “rich” section of the population should come under taxation. The package of amendments to income tax regulations provide that the gap will be filled up by making relevant changes to property tax standards, because, yes, we will create opportunities for the so-called elite neighborhoods, elite houses in elite districts, and elite property to be taxed differently, and in essence, we have an estimate of a percentage of taxable property. By setting a fair rate of property tax, we will double the amount of property tax collections. This is an expert assessment; the figures may not be accurate, but it stems from the assumption that we are actually using an unfair mechanism of property tax collection, which leaves many loopholes for evasion. In general, our most important task is to increase budget revenues because we cannot hope that with the currently applicable budgetary framework and logic we can manage a breakthrough, and revolutionary changes. Here, I would like to dwell on the taxes-GDP index, where Armenia is stepping back from time to time. For example, in 2018 the taxes-GDP index was projected at 20.3 percent, while in the same period it was 26 percent in Georgia. We have to take specific steps to improve the taxes-GDP ratio and fight against the black economy. Finally, I want to say that we actually offer wide tax benefits to micro businesses, in particular. When we say that a threshold of AMD 20 to 24 million in turnover will be set for micro businesses, we should be able to determine who has a turnover of 24 million, and who - 30 or 50 million. Here, we will have to rely on cash registers. Many micro businesses avoid issuing cash-register checks because the current tax burden is too heavy for them. We deduct this small part from taxes, but this does not mean at all that giving cash-register receipts should be banned in the country, because if we abide by this logic, it may turn out that a 5-storey supermarket in a province has a turnover of 11 million or 19 million altogether and, therefore, is not supposed to pay any taxes. 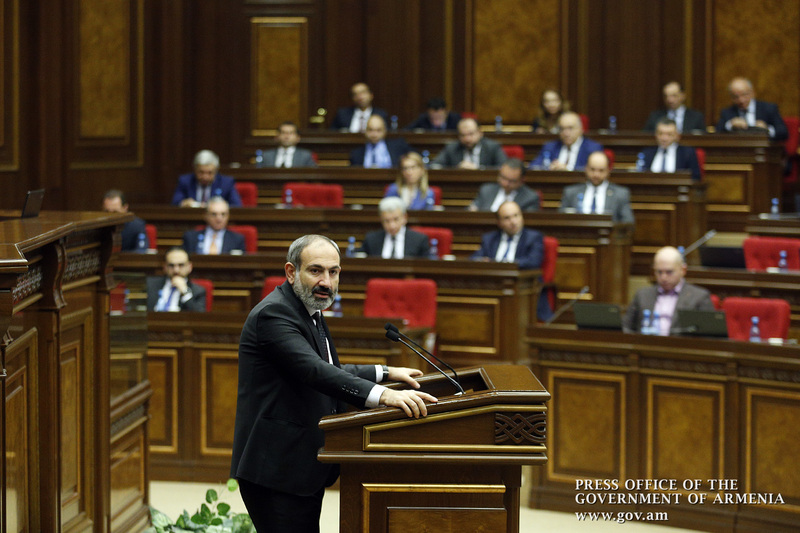 In view of the above, we urge all sellers and buyers to give and get cash-register receipts because otherwise the budget of the Republic of Armenia will be at risk. Any big business must comply with its fiscal liabilities. I want to say that these changes mean a strict approach to the aforementioned adverse phenomena, when an entity might be trying to avoid taxes, whether large, medium, or not. By saying inclusive growth, we understand that the state budget is a common objective, because those entities failing to provide cash-register receipts undermine the country’s security; they prevent us from improving infrastructures, raising pensions and so on. The same is true for those citizens who do not ask for the receipt. There used to be corruption and monopolies in our country. There are no longer corruption and monopolies, and even if there are still some remnants of such adverse phenomena, that means that we have not yet identified them; they will be eliminated as soon as we spot them. We call on our citizens to support us in this matter. 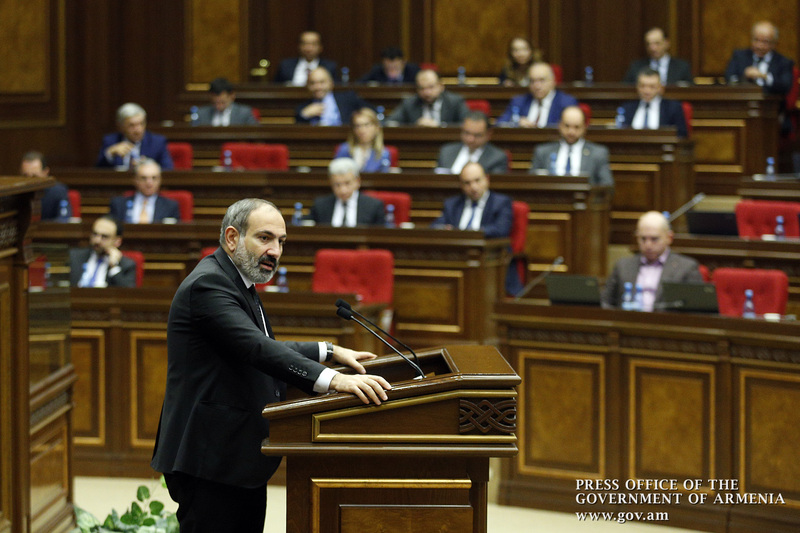 We are on the way to reducing taxes and protecting the business environment, which implies that the failure to give and get cash-register receipts should be seen as a very negative phenomenon, since if we are to enforce the rule of law, we must aspire to legitimacy; if we want justice, we must be just in our actions. Justice should not only be applied to others; it should affect everyone. 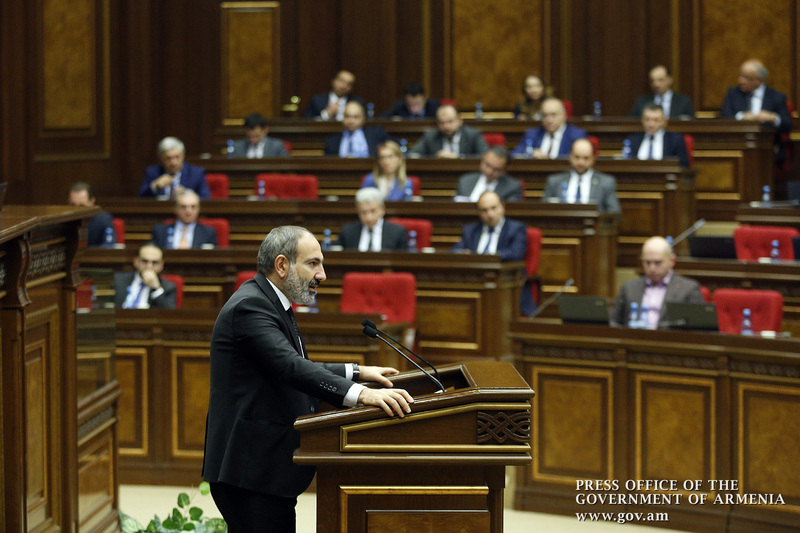 And yes, I think that over the past six months our government was able to provide specific conditions for labor and investment promotion in Armenia, and I am convinced that the results will be reflected in this 2019 budget bill. In my latest statement, made from this podium, I spoke about the transformation of the economy, which is definitely positive, and we must continue with it in a bid to improve the business environment, workers’ rights, etc. I am confident that we are in for serious achievements.